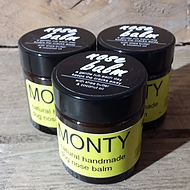 Monty is Betty's first cousin he loves to lord it up, but his real passion is making natural dog soap. Monty has a bath each day at 4pm followed by a G&T. 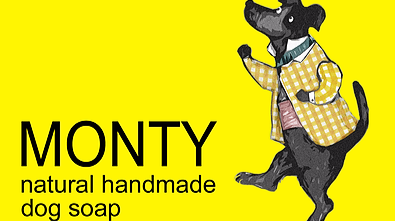 Monty Dogs Soaps are natures way of cleaning your dog without the nasty chemicals. Our dog soap lathers up like dog shampoo and puts more oils back in the coat unlike shampoos. 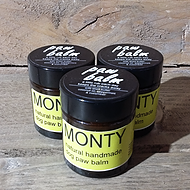 Monty balms are made using the finest natural ingredients. Available online and in store at Betty & Butch. Not sure about what soap or salve you need? Speak to one of our experts in store at Chorlton or Hale.